Boots, bonfires, sweaters, pumpkin spice, what does fall say to you? I love all seasons, and generally I change my decor up to match. However, fall has a special touch on the farm, everything changes. I love to use as many natural elements as possible this time of year. Candlelight: There is something special about candles. I always decorate with candles, no matter what time of year it is. What makes it so special now is the invention of the the automatic timer led candles. I love coming home in the evenings, walking in the house, and the candles are already going. It is so cozy, warm, and inviting. I have them going year round. However, I must say my latest addition is very special. This beautiful copper candle holder from Gardener’s Supply just screams fall. The deep copper tones mix so well, with the greens, oranges, and blues of fall. Plus, the delicate etching of a tree creates an incredible center piece. All-in-all, the Winterwood copper candle holder with the automatic, led candles is a great addition to your holiday decor. Mums : Can you think of anything that says ‘Fall’ more? I seem to add more and more mums every year. If you shop around, you can usually find some great deals on them. I love to end the growing season with a huge splash of color, and that doesn’t stop inside. Nothing is safe! The porch, the yard, the cabin, everything usually ends up surrounded by mums! 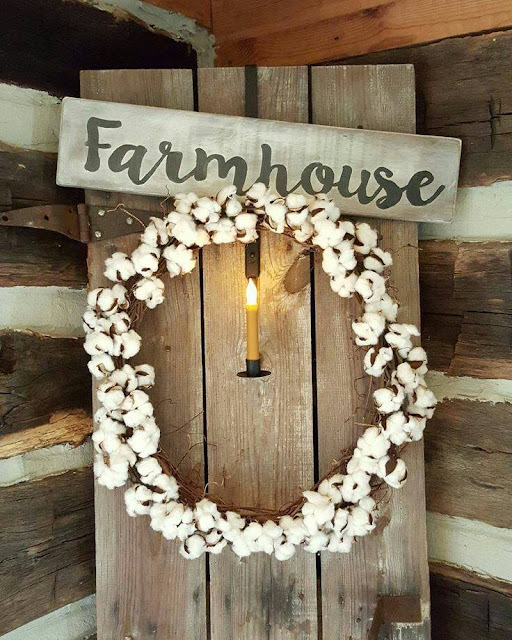 Cotton Bolls: All the rage right now are these wonderful cotton boll wreaths. I made this out of some single stems that I wrapped around and tied into a grapevine wreath. It is delicate and whimsical, but also a wonderful way to add natural elements into our decor. Plus, they really seem to last a long time as long as they don’t get wet. There are so many ways to use these stems, not just in wreaths. They are beautiful tied into bows, or even on their own in a vase. I have them available in our Etsy store if you are having trouble finding them, click here. 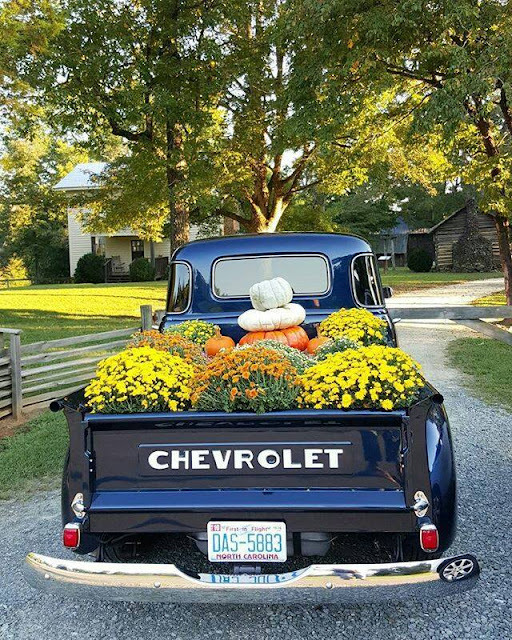 Antiques: Fall is a great time of year to repurpose items in your home. I have always loved antiques, and I have quite a collection. This time of year, the rusted items, quilts, barn wood, and things that are well-loved and worn display a different type of charm. It is so simple to set a pumpkin on a quilt and watch it magically transform. Sounds silly? Maybe, but I love it. 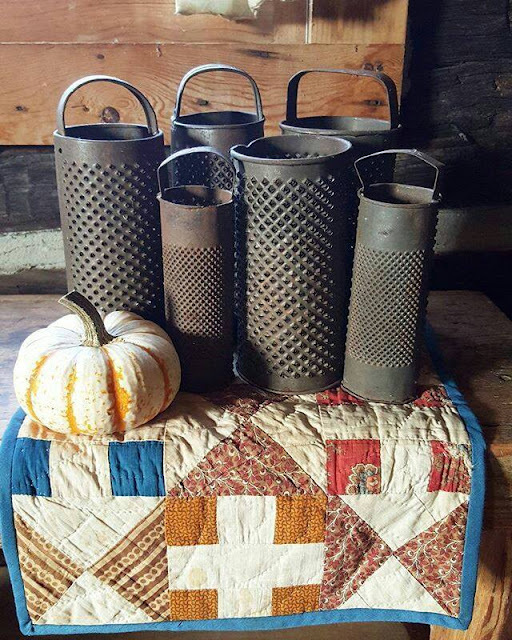 These old round graters were something I collected years ago, they are an unusual item to decorate with, but displayed with pumpkins and quilts, they create a lovely vignette. A few small set ups like this throughout your home can make any room feel like fall. 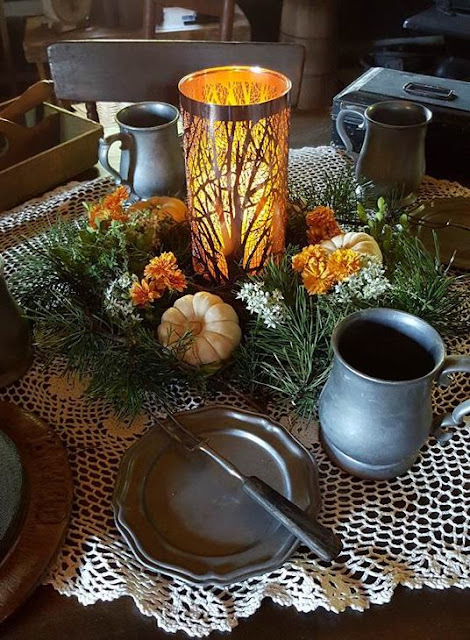 Decorating for any season doesn’t have to be expensive, you can take things you already have and re-purpose them, use natural elements from your yard or a hike, or add small touches like a simple candle. The important thing is that you love it.